← Why Would You Shave “LeBron” Into Your Head? 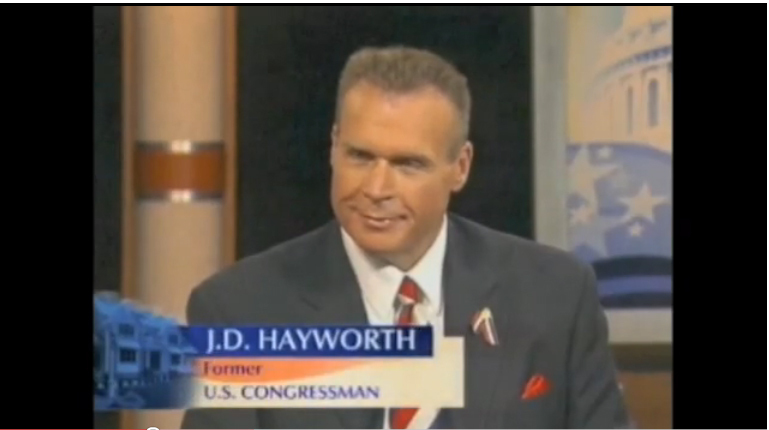 Hacksaw’s New Co-Host, JD Hayworth, is an Infomercial Scam Artist? Perfect. 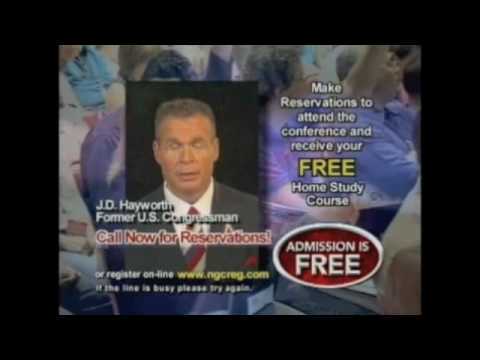 YouTube – JD Hayworth filmed this infomercial in November 2007 for a company called National Grants Conferences – widely regarded as a fraud and a scam. J.D. Hayworth says he regrets making a 2007 infomercial for “free” government grant seminars that critics have described as shady. Sen. John McCain, whom Hayworth is challenging in the Republican primary, blasted Hayworth and questioned his judgment. National Grants Conferences, which has filed for bankrupcty, is accused of luring consumers to free seminars and then using high-pressure sales tactics to persuade them to pay for information that is free online or at a library. The company earned an “F” rating from the Better Business Bureau; settled a 2006 consumer-fraud lawsuit brought by Vermont’s attorney general; and filed for bankruptcy in 2008, reports the Arizona Republic. A pork-barrel-spending-lobbyist-huckster, huh? I don’t even know what that means, but he sounds like the perfect co-host for the biggest fraud in the history of San Diego radio. Hell, he might even challenge Mahan for that “biggest fraud” crown. This entry was posted in Media and tagged 1090am, hacksaw, hacksaw hamilton, hacksaw's new co-host, JD Hayworth, JD Hayworth hacksaw, JD Hayworth paul mahan, mighty 1090, paul mahan, san diego media, san diego sports media, san diego sports radio, xx1090. Bookmark the permalink.